HRH Prince Harry, who served with Gurkhas during his tour of Afghanistan, is set to visit some of our earthquake response projects during his trip to Nepal this month. The Royal will see some of the vital work we’re doing to rebuild the homes of Gurkha veterans and widows, as well as the wider support we’re providing to communities through school and water projects. Our work should resonate with the Prince, who has been increasingly involved in military charities in recent years. 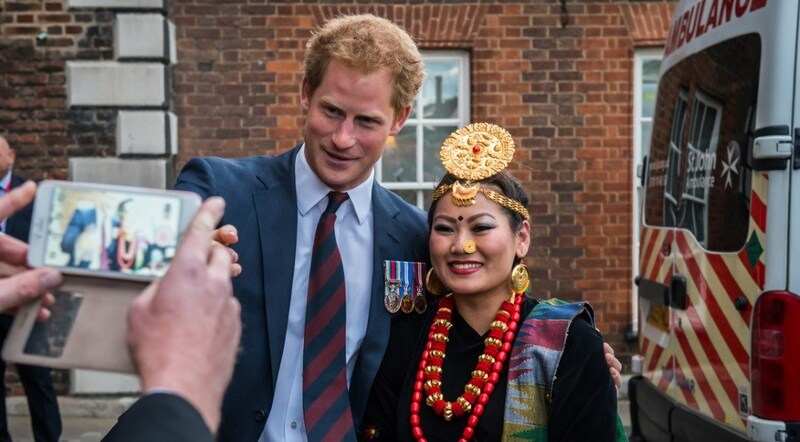 In June 2015, Harry also attended the Trust’s Gurkha 200 Pageant, celebrating two centuries of loyal and distinguished service to the Crown. Also present at the event were The Queen, The Duke of Edinburgh and The Prince of Wales, in honour of the Gurkhas’ significant contribution to the British Army. 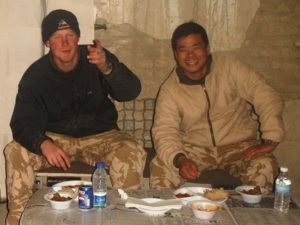 At the Pageant, Harry was reunited with several brothers-in-arms from his Afghanistan days. He subsequently told reporters that he would have liked to join the Gurkhas. Prince Harry’s father, HRH The Prince of Wales, is our own Patron and also Colonel-in-Chief of The Royal Gurkha Rifles. During his Nepal visit, the Prince will also head to the British Gurkhas Camp in Pokhara, where the famous recruitment process is held. There, he’ll meet GWT team member and retired Gurkha Major, Bishnu Pun. 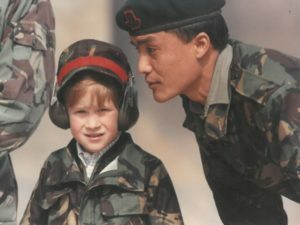 Bishnu formerly served as an Orderly at The Prince of Wales’ household and once hosted a young Prince Harry during his father’s official visit as Colonel-in-Chief of the 2nd Gurkha Rifles in 1991 (right). Harry will also present an MBE to ex-Gurkha Captain Bhaktabahadur Rai for his outstanding service with our field arm, The Gurkha Welfare Scheme.